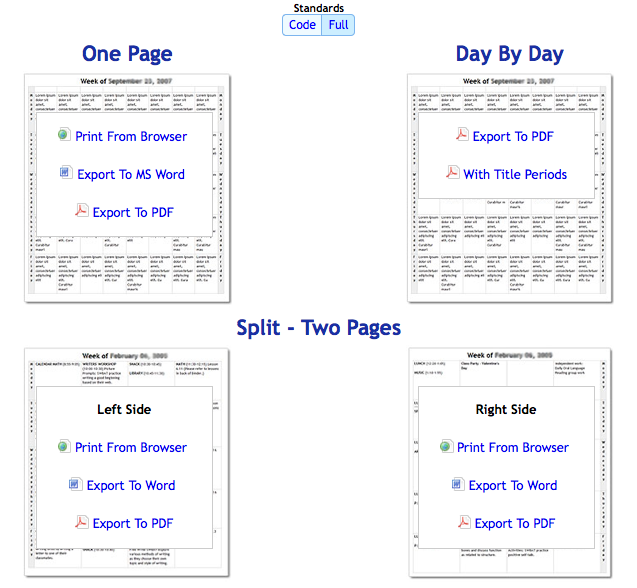 A feature of our Premium Membership is exporting your plans to a MS Word document or a PDF file. You can then save this file to your computer to print, email, or keep for your records. You have the option of exporting a day's or a week's worth of plans at one time. Click the cog icon next to the name of the day of the week you wish to export. Select "Print" from the menu. 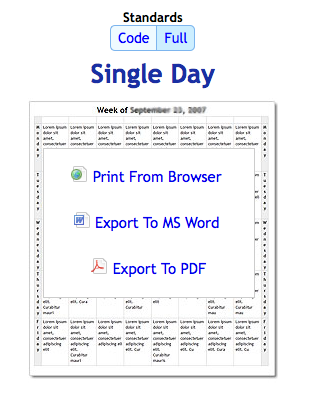 Then, you can select how you would like to print or export the day's plans and whether or not you would like to view the entire standard or just the code (if you've added standards to your planbook). 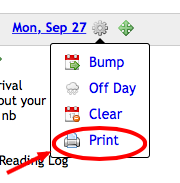 To export an entire week's worth of plans, click on the printer icon in the weekly view. You have more options when printing from the weekly view. The "Day by Day" or "Split" work better if you have longer plans.